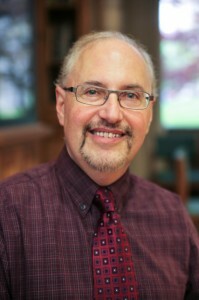 I am Professor of History and the Robert S. French Professor of American Studies at Lawrence University, in Appleton, Wisconsin, where I have taught since 1998. I’m a native of New York City and a former practicing attorney. I received my B.A. from New York University, a J.D. from Columbia University Law School, and a Ph.D. in American history from Princeton University. My research interests are in 20th century American urban history and racial and ethnic relations. I am the author of The Strike That Changed New York: Blacks, Whites, and the Ocean Hill-Brownsville Crisis, published by Yale University Press, which was a finalist for the Organization of American Historians’ Liberty Legacy Foundation Award for the best book on the struggle for civil rights in the United States, and an honorable mention for the Urban History Association’s Book Award in North American urban history. My biography of the civil rights and labor leader Bayard Rustin, entitled Bayard Rustin: American Dreamer, was published in 2009 by Rowman & Littlefield. My co-edited book, The Struggle for Equality: Essays on Sectional Conflict, the Civil War, and the Long Reconstruction, was published in 2011 by the University of Virginia Press. I contributed an essay entitled, “An Awful Choice: Bayard Rustin and New York City’s Civil Rights Wars, 1968,” for that volume. I am also the co-author of American Conversations: From the Centennial to the Millennium, a collection of primary sources in American history after 1877, published by Pearson in 2012. I’m presently writing a book entitled Building Dodger Stadium: Land, Power, and the Fate of Modern Los Angeles for Princeton University Press, in which I use the struggle over the construction of the iconic ballpark between 1957 and 1962 to examine arguments over civic identity in an emerging 20th century American supercity. My articles and reviews have appeared in The American Historical Review, The Journal of American History, The Journal of Urban History, Reviews in American History, Radical History Review, Labor History, Film & History, and American Studies. I contributed an essay, “’One City, One Standard’: The Struggle for Equality in Rudolph Giuliani’s New York,” to Civil Rights in New York City: From World War II to the Giuliani Era, published by Fordham University Press in 2011. I am the recipient of the Allan Nevins Prize, awarded by the Society of American Historians for “literary distinction in the writing of history,” and a Fellow of the New York Academy of History. I was appointed to Wisconsin’s Abraham Lincoln Bicentennial Commission, on which I served from 2008 to 2009. In 2010, I was honored by Lawrence University with its Award for Excellence in Scholarship, and in 2012 with its Faculty Convocation Award. In 2013 I co-edited Learning for a Lifetime: Liberal Arts and the Life of the Mind at Lawrence University, a volume of essays by Lawrence alumni on the impact of liberal education on their professional, intellectual, and personal development.